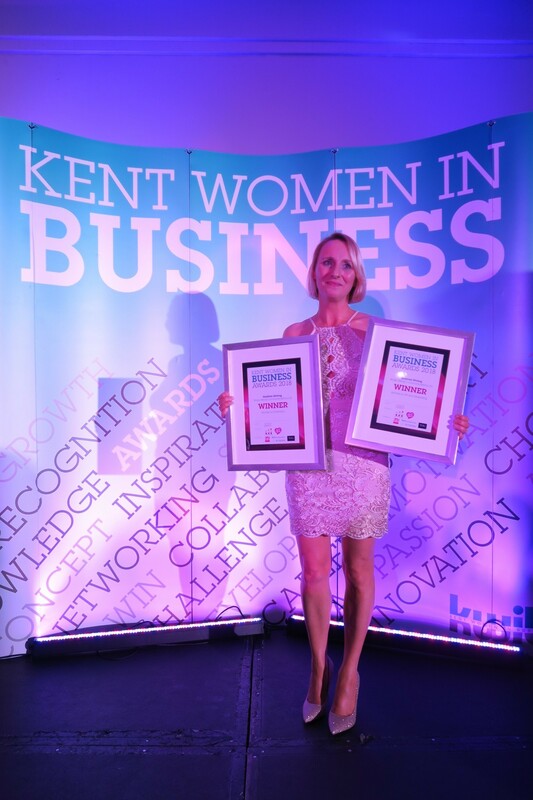 The director of Sharp Minds Communications was the only double winner at the annual Kent Women in Business Awards on 9 March. As well as taking the PR and Marketing title, Siobhan Stirling was also named Women’s Champion for her new movement, 50 Challenges, helping those aged 50 plus to create a new blueprint for mid-life. ‘It was a real honour to have the successes and hard work of both the Sharp Minds and 50 Challenges team recognised in the company of so many inspiring and successful Kent business women,’ said Siobhan. The judges named Siobhan the winner of the PR and Marketing category for the measurable return on investment that we deliver for our growing client base, as well as her vision for how she will continue to drive the agency forward. 50 Challenges was set up by Siobhan to help her peers define the next chapter of their lives positively by completing 50 challenges across their fifties. She launched it last November by running the New York marathon the day after her 50th birthday. ‘It’s wonderful that the value and returns on investment that Sharp Minds deliver for our clients was recognised. But being named Women’s Champion was very close to my heart. 50 Challenges is about inspiring everyone approaching 50 and beyond – men and women – but it is resonating very strongly with women. It’s been an incredible amount of hard work to get it off the ground – especially on top of running Sharp Minds and having a family to look after – so it was fantastic to have the role that it is playing in engaging and encouraging women who are going through this transitional stage of life recognised so early on,’ commented Siobhan. The KWIBA18 black-tie event at the Mercure Great Danes Hotel in Maidstone saw 128 finalists, selected from a record number of entries in 17 different categories, including business woman of the year, service excellence, women in the arts, home business, mumpreneur, business growth and young business woman of the year.